Hirokazu Kore-eda’s latest, Our Little Sister, is a rich film full of life, love, and care. One of my very favorite films that I saw at last year’s TIFF, Our Little Sister is a humanist masterwork from a filmmaker who brings a unique sense of goodness to his films. Our Little Sister tells the story of three sisters who find out that their recently deceased estranged father left behind a teen daughter from his second marriage. They connect with this daughter and invite her to live with them. In the process, the older sisters give this young girl the childhood that she never had and allow her to blossom. 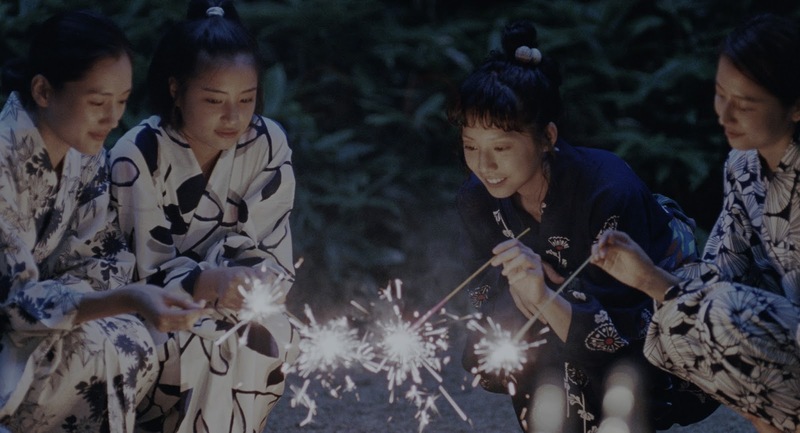 Our Little Sister distinguishes itself from many other films because it has a distinct lack of conflict. Where this would come as a fatal flaw in any other film, Kore-eda makes it one of his greatest strengths, as it allows him to show his four lead women grow together and strengthen each other’s lives. Kore-eda allows each character to develop, and as we watch them, we fall farther and farther in love with them. As a director, Kore-eda is gentle and patient, allowing scenes to play out in full without cutting them short. While Our Little Sister’s pace is careful, it is never in doubt whether Kore-eda is in command of his material. Every moment is crafted with thought and acted to perfection. Kore-eda sees the good in his characters and has immense empathy for their situations. In Our Little Sister, there isn’t a single unlikable character. When I saw Our Little Sister for the first time at TIFF, I immediately fell in love with it because of how simple and realistic it is. I fell in love with not only the filmmaking but also the performances, which are of the highest caliber. Each one, particularly of the lead four, is so realistic, so moving that it’s hard not to care. With a film this simple and with this little conflict, it takes an incredible amount of control on the part of Kore-eda to keep it from becoming something completely inconsequential. But, by focusing on the smallest of details, Kore-eda has created something special that's completely compelling. It’s rare to find a film as genuinely touching as Our Little Sister, which is why it’s a gift that it exists. Please see this one when Sony Pictures Classics releases it later this year.